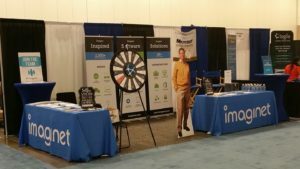 Join Imaginet at the 11th annual ShareCloud Summit (formerly SharePoint TechFest) on April 18, 2019 at the Irving Convention Center in Las Colinas. The ShareCloud Summit is a one day educationally focused conference and expo with valuable opportunities for technology providers and buyers to collaborate on solutions for the business. It is the technology event to attend for all businesses that currently run Microsoft stack – including SharePoint, Office 365, and Azure – to maximize your investment and discover better ways to collaborate. Ready to join the fun? Follow these 3 easy steps to get the most out of the ShareCloud Summit. 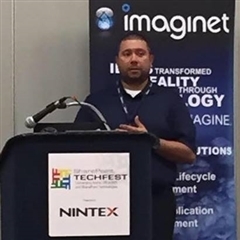 Imaginet’s very own Jeremiah Walker (Principal Consultant for Imaginet’s Business Productivity team) will be speaking at 10:15am in Room 8 on the exciting topic: Governance for Office 365, Microsoft Teams, and the Power Platform. As the Office 365 platform continues to expand its presence and adoption within the enterprise, IT organizations are having to rapidly adapt to a cloud-based architecture and support system. In this session, we will take a look at the challenges of supporting a cloud-based enterprise and solutions for providing long-term support and sustainment from an IT and business perspective. Join us at the ShareCloud Summit on April 18, 2019. We hope to see you there. Imaginet is your trusted technology partner who turns your business innovation ideas into reality. 20+ years | 1200+ satisfied customers | 2500+ successful engagements. Located in the United States and Canada. Services offered worldwide. Contact us today at info@imaginet.com or 1-800-989-6022.